We believe that everyone should have access to fresh, tasty, nutritious ingredients and should be readied with the essentials skills needed to prepare, cook and serve! 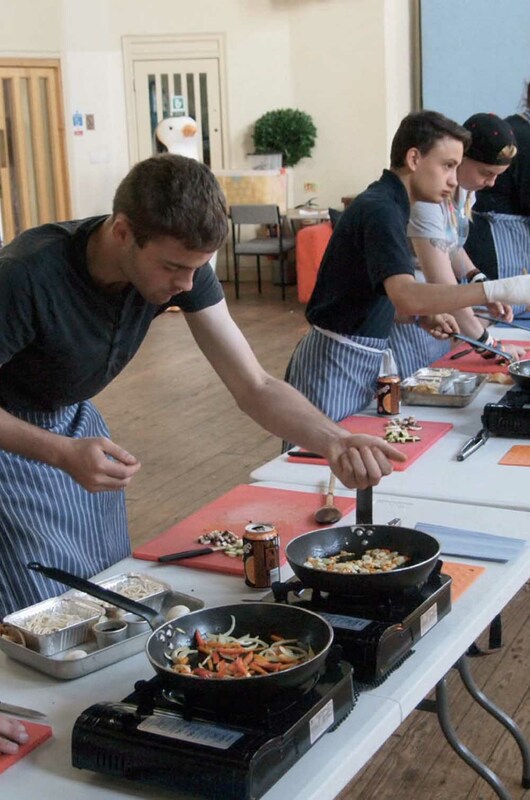 Can Cook was established as a cookery school in 2007, and since then we’ve provided 15,000 people with the basic cookery skills required to enjoy healthy, nutrient rich food. Though our operations have changed over the years, we still provide cookery training sessions to schools and play schemes as part of selected funded programmes – continuing our mission to educate people across Liverpool on the benefits of cooking from fresh ingredients and the importance of kitchen confidence! For over a decade we’ve been creating delicious, affordable and easy-to-make recipes for families everywhere. Now, with the launch of our Good Food Meal Box, we want to share some of these tasty dishes with our friends and followers. If you’ve received a Good Food Meal Box, or if you’d just like to try out one of our favourite recipes, check out the instructions on how to make your very own Spiced Egg Fried Rice below. Cook the rice for about 15 minutes then cool under cold water and drain well. Heat 2 tbsp of the oil in a frying pan and cook the onions and carrot over a high heat for 3 minutes, then add the paste and continue to stir fry for 2 minutes, then add the cooked rice and mix well. Once the rice is hot and nicely coated season to taste and divide between warm plates, then crack the eggs into a cup and mix well with a fork. Now heat 1 tbsp of oil in the same pan and add the eggs, then cook over a medium heat until they have set, then flip over and cook for 30 seconds. Remove from the pan and shred the omelette and divide between the rice.